Global Atlantic Financial Group announced a $100,000 investment in the Global Insurance Accelerator, a Des Moines-based 100 day program aiding up to ten insurtech startups in financing and industry connections. The investment joins Global Atlantic with the GIA’s 12 other existing private company investors, which support the accelerator’s mentor networks and business infrastructure assistance. 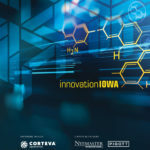 GIA managing director Brian Hemesath announced Global Atlantic’s investment on Wednesday during the GIA’s welcome reception, which introduced the 2019 cohort of 10 insurtech companies to Des Moines businesses, supporters and mentors.